Dokáže se Kojotí smečka vrátit na vrchol? Po výhře Stanley cupu následovalo vystřízlivění, podaří se letními změnami vrátit na vrchol? V Arizoně je vždy horké léto a nejinak tomu bylo letos. Smečku opustilo několik letitých Kojotů. Kdo z hráčů hledá nový domov? Co stálo za překvapivým postupem Arizony do vyřazovací části? [06.07.2017 23:44:31] - John Albert was released. [06.07.2017 23:46:07] - Eric O\'Dell has been added to Coyotes. [06.07.2017 23:44:44] - Drew MacIntyre was released. [06.07.2017 23:44:44] - Coyotes paid 0 Kč to release Drew MacIntyre. [06.07.2017 23:44:31] - Coyotes paid 0 Kč to release John Albert. [06.07.2017 23:44:24] - Blair Jones was released. [06.07.2017 23:44:24] - Coyotes paid 0 Kč to release Blair Jones. [06.07.2017 23:44:14] - Allen York was released. [06.07.2017 23:44:14] - Coyotes paid 0 Kč to release Allen York. [24.06.2017 13:46:01] - TRADE : From Penguins to Coyotes : Justin Williams (69). [24.06.2017 13:46:00] - Justin Williams was added to Coyotes. 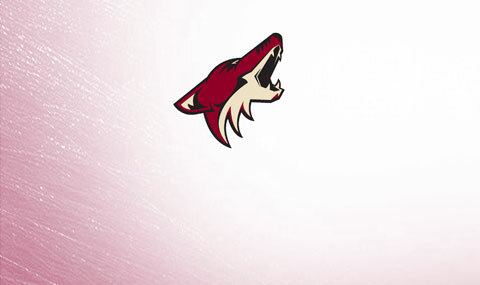 [06.06.2017 22:07:43] - Coyotes are the Playoffs Champions for year 16! [07.07.2017 0:35:25] - TRADE : From Flames to Coyotes : Aaron Ekblad (65). [06.07.2017 23:46:16] - Michael St. Croix has been added to Coyotes. [06.07.2017 23:46:24] - Jared Cowen has been added to Coyotes. [07.07.2017 0:35:25] - TRADE : From Coyotes to Flames : Ryan Nugent-Hopkins (67)- Y:18-RND:2-ARI. [07.07.2017 0:35:24] - Aaron Ekblad was added to Coyotes. [06.07.2017 23:49:12] - Matt Grzelcyk was added to Coyotes. [06.07.2017 23:48:57] - Jacob Middleton was added to Coyotes. [06.07.2017 23:48:50] - Conner Bleackley was added to Coyotes. [06.07.2017 23:48:43] - Blake Siebenaler was added to Coyotes. [06.07.2017 23:46:51] - Eric O\'Dell was released. [06.07.2017 23:46:51] - Coyotes paid 0 Kč to release Eric O\'Dell. [06.07.2017 23:46:45] - Michael St. Croix was released. [06.07.2017 23:46:35] - Coyotes paid 0 Kč to release Jared Cowen. [06.07.2017 23:46:45] - Coyotes paid 0 Kč to release Michael St. Croix. [06.07.2017 23:46:35] - Jared Cowen was released. [11.04.2017 23:57:17] - Tucson Roadrunners didn\'t make playoff for year 16. [01.03.2017 22:28:58] - Jared Cowen was added to Coyotes. [01.03.2017 22:29:00] - TRADE : From Sharks to Coyotes : Jared Cowen (65).